First time using FS Reloading, will not be the last, excellent service.. I wanted you folks to know this is a great company to do business with. Orders have always come quickly and if something is backordered I am always kept up to date with the orders progression. My hat is off to Greg a knowledgeable, and I would imagine a pretty colorful guy, to co.. Thanks for the speed shipping! Greetings from Italy.. 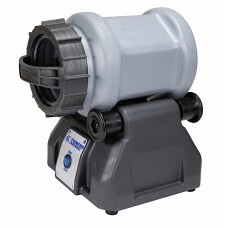 The Frankford Arsenal Rotary Case Tumbler Lite is the compact version of the Platinum Series Rotary ..